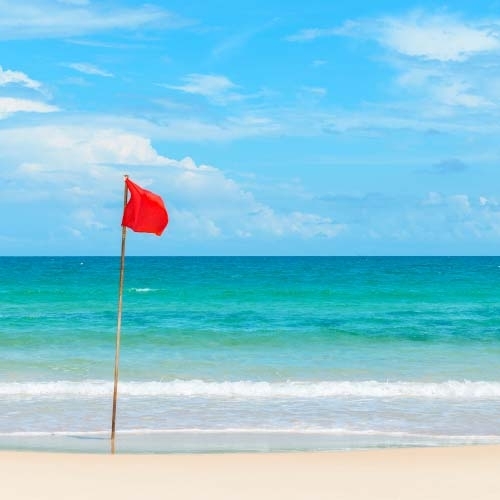 At first, you may believe you’ll be restricted when it comes to surf fishing since you’ll be casting from dry land, but this couldn’t be further from the truth. Aside from deep sea game fish, there’s a surprisingly wide variety of fish you can catch right off the shoreline, including Flounder, Rockfish and Mackerel. This makes it easy for saltwater anglers to catch good game fish without having to leave land at all, so if you’re saving up for a new boat and casting platform to get out on the water you can still get a feel for saltwater fishing and be primed for when you’re ready to go out and land even bigger strikes. Surf fishing is an easy fishing method to learn, with your tactics changing depending on factors such as location, seasons, tides, weather conditions, and the type of fish you’re hoping to get on your line; but, just starting out there are simple basics that will get you started off on the right track. If you’re new to surf fishing, the first thing you need to do is understand how to surf cast. Surf casting is actually a lot like regular casting, but with more emphasis on distance and accuracy to land your bait in the surf. Generally speaking, you’ll do well with a basic overhand cast straight out. 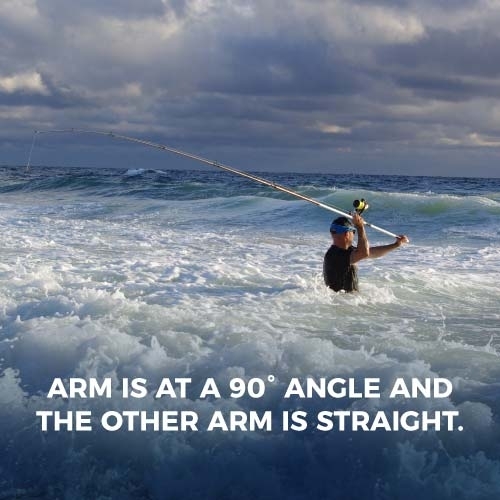 For an overhand cast, hold the rod in your hand, bend your arm up into a 90 degree angle and quickly flick out the pole, straightening your arm to launch the bait into the water. The trick to surf casting is learning the exact speed and power you need to perfect both your distance and accuracy when tossing out the line. Once you have the cast you can start to learn different tactics, such as using different bait or fishing at a different time of year, that will help you target specific fish species. For example, while shrimp will attract most species of fish, you may want to use live bait like Mullet for Flounder or Herring for Mackerel. 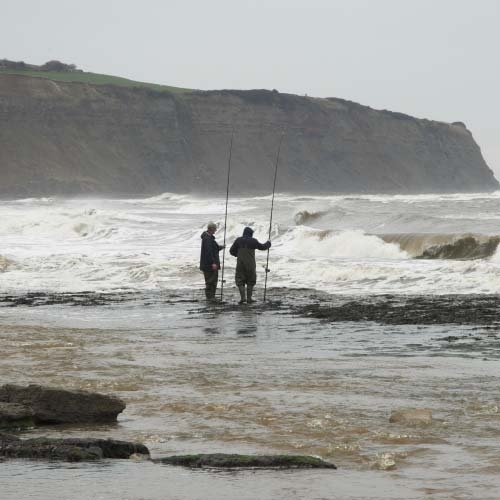 It also helps to understand the habits of your target fish species based on the seasons, tides and weather conditions. The sand bar is a critical component to figuring out where fish could be, letting you know whether the fish are behind it chasing bait fish, or closer to the shore. 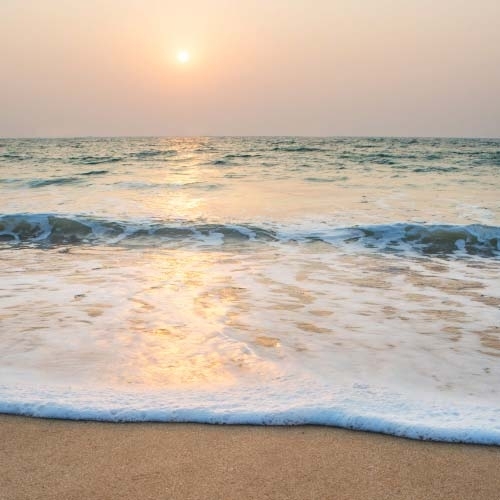 Sand bars will constantly change with the waves and passing storms, but you can locate them by determining where the waves begin to break as they come in. Outflows, or rip currents, are breaks in the sand bar where the fish will often come to feed in the surf. Since fish may also feed to the left or right of an outflow, you may also want to try casting your line to either side of the outflow. 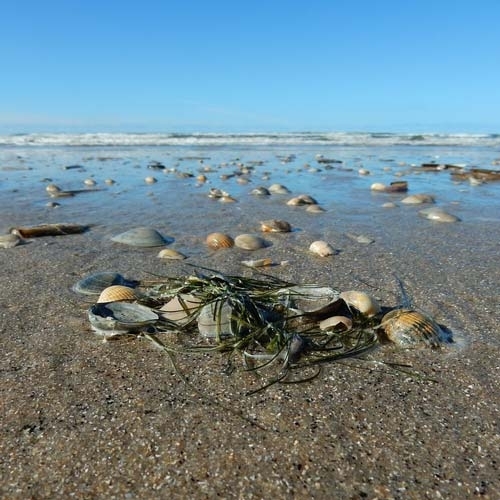 Areas of the beach with coarse sand and shells are more likely to be near deeper holes that will hold fish, so look up and down the beach for these areas to increase your chance of getting a strike. Remember that these subtle differences can have a huge effect when it comes to surf fishing. More fish will come in to feed during high tide, especially at dawn or dusk, as there will be more water in your fishing hole, but certain species will prefer low tide. Take advantage of low tide to read the beach and locate sand banks, dips, hollows, and other structures. Having proper gear will make your surf fishing experience easier and far more enjoyable, especially as you learn how to read the beach and what conditions are best for getting the strikes. Remember that knowledge comes from experience. 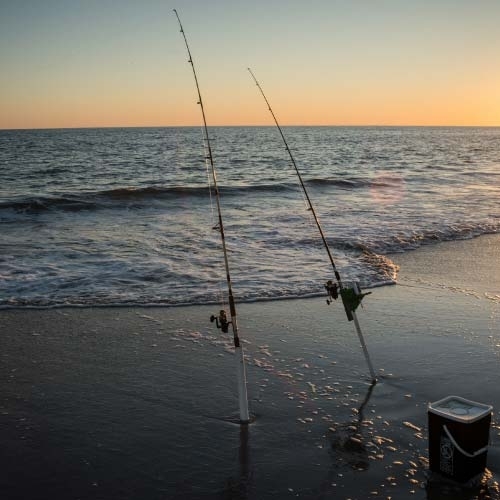 While guides can help establish a foundation as you learn the art of surf fishing, actually casting your rod from the sands of the beach will teach you what you need to know to become a seasoned surf angler.